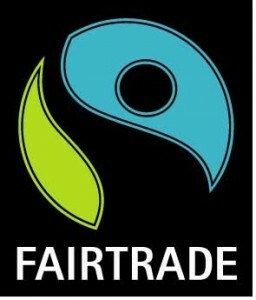 Green Drinks Tuesday 9th Novbember!! 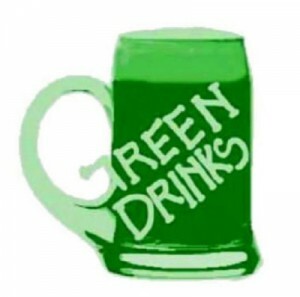 We missed last month but the Green drinks are back and Greener than ever. As before it is a chance to meet like minded people, discuss green issues (be they global or local), share skills and tips. As always we try and introduce an underlying theme in order to bounce specific ideas around. This month is all about how Cowbridge and the surrounding area could benefit from the renewable energy feed in tariff and what scope there is for community renewables? Transition Day 2 Open to all! After the success of last year’s Transition day, Transition Cowbridge would like to welcome one and all for a day of information sharing and practical workshops. You don’t have to be part of a Transition group to attend, just keen on learning about what is needed to take footsteps towards a more positive and sustainable future. 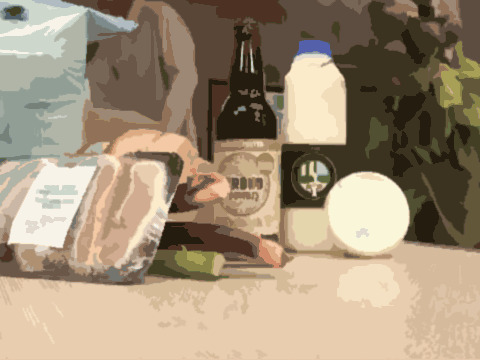 This is a really inspiring vision from Stroud on how to link local producers with local consumers to help build local food resilience and reduce their environmental impact. Transition Cowbridge would love to see CowbridgeCo happen in Cowbridge. Would you like to get involved with us to help to set something like this up? If so contact us and let’s make a step towards making Cowbridge a more resilient, sustainable and community focused place to live. If you’re in England or Wales, solar panel firm Isis is offering to kit you out with solar panels for nothing. 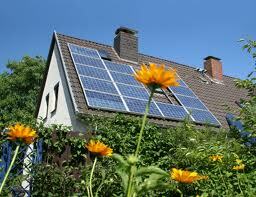 You save £120-ish a year on your electricity, but it keeps the £800 a year payments for generating the solar power. Jump to Free solar power for more. The other option’s to pay for your own solar power system. This way, you grab all the payments for solar energy produced, estimated by the Energy Saving Trust at a brilliant £800 year. This is on top of the bill savings. The Government’s promised the scheme will last for 25 years, so that’s a decent £23,000 return. This works out cheaper if you want the solar panels for more than ten years, though, of course, you need to stump up a typical cost of £12,500. Jump to Get paid to generate solar power for more. The Big Butterfly Count is a nationwide survey aimed at helping assess the health of our environment. Butterflies react very quickly to change in their environment which makes them excellent biodiversity indicators. Simply count butterflies for 15 minutes during bright (preferably sunny) weather from 24th July to 1st August. We have chosen this time of year because most butterflies are at the adult stage of their lifecycle, so more likely to be seen. Records are welcome from anywhere: from parks and gardens, to fields and forests. If you are counting from a fixed position in your garden, count the maximum number of each species that you can see at a single time. You can submit separate records for different dates, and for different places that you visit. How many planets are we living on? That was the question posed by a group of students from Cowbridge Comprehensive when they undertook a survey as part of their Year 9 ESDGC work experience. 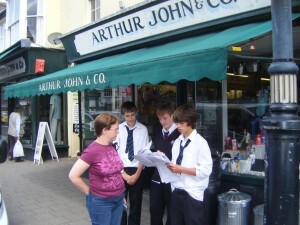 Transition Cowbridge, hosted the students for two days and sent them out onto the streets of Cowbridge to ask the local people questions including where they purchased their food, how they travelled and how they dealt with their waste. They were also taken to Pencoed Growers and Oakland Organics see how local food is produced, and on a smaller scale to see how one of the Transition group has transformed his back garden to an abundant vegetable patch, supplying much of his family’s daily vegetable requirement. Rob McGhee, of the Transition group, said, “the students did a great job with the survey and it gave us a small snapshot of Cowbridge’s Ecological Footprint. The Welsh Assembly has estimated that, as a whole, Wales’ Footprint requires 2.7 planets but we discovered that the majority of those surveyed in Cowbridge need 4 to 6.3 planets to resource their lives. This is clearly unsustainable and we need to find ways to bring ourselves back to one planet living. The students came up with lots of ideas for themselves including a local food shop in every village, supporting local farmers, allotment classes, neighbours sharing their own produce, community bike rides and picnics, electric charging station for cars and a Cowbridge windfarm. Some of the more weird and wonderful ideas but none the less valid were the uses of telepotation to reduce emissions from travel and cross breading humans with birds! Background: There are approximately 7.3 billion hectares of productive land in the world and 6 billion people trying to share it. To have an equal share each person would have access to 1.22 hectares (this also needs to be shared with species other than human). This would be the amount of land available to feed, clothe, house and support each person. The test we carried out was adapted from that developed by the City of Toronto and the Recycling Council of Ontario, Canada and shows how many hectares are currently being used to support our needs and lifestyle. Even low scores of 150 still require 3 equivalent planets to support 6 billion people living in this way. The test recognises than anyone living in a developed country is going to have a larger footprint than the majority of the world’s population (who live in developing nations). It highlights the inequality of human impact and the unsustainability of current global impacts from the combined population.